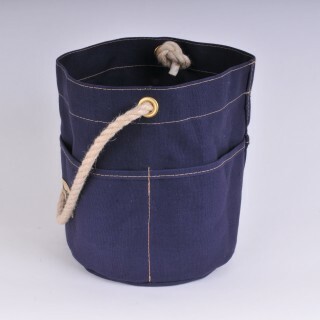 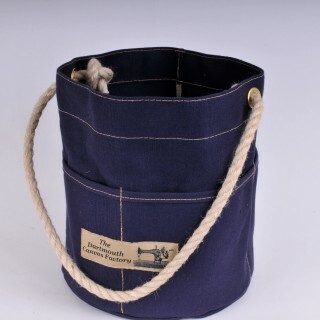 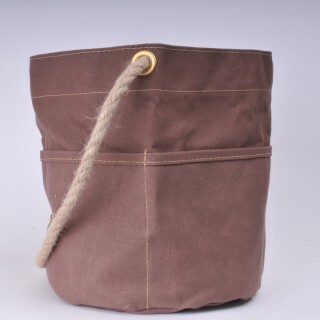 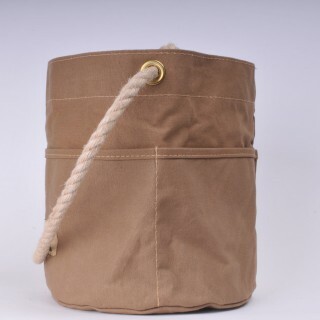 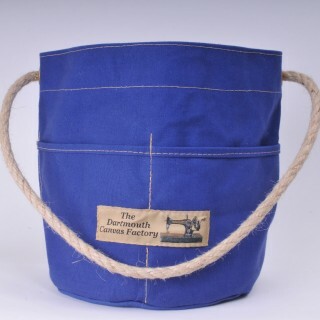 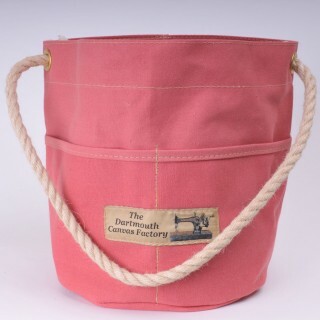 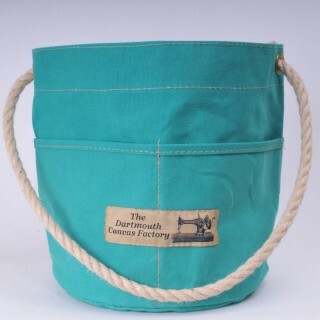 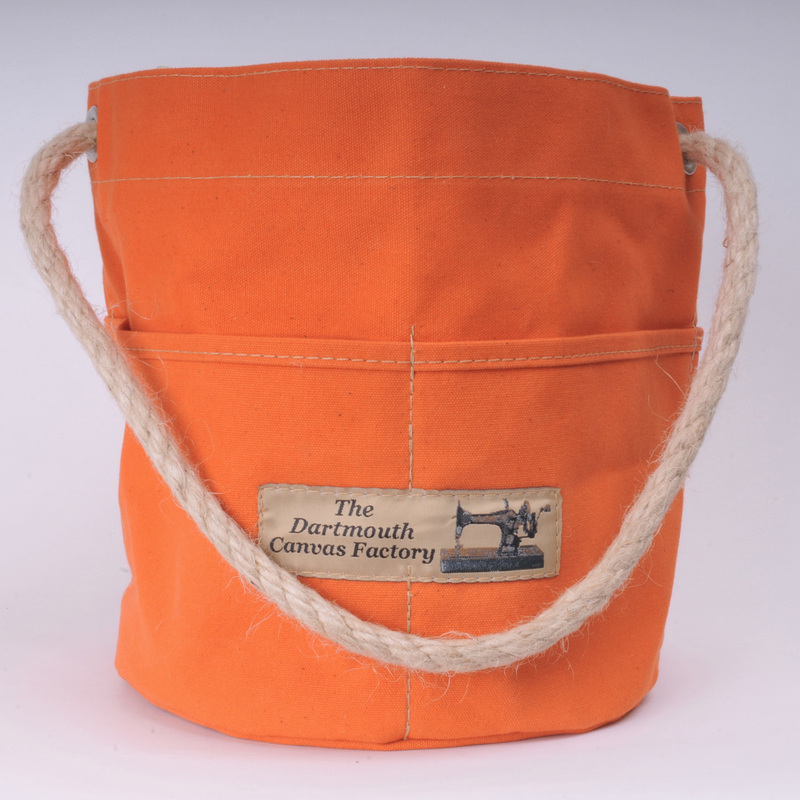 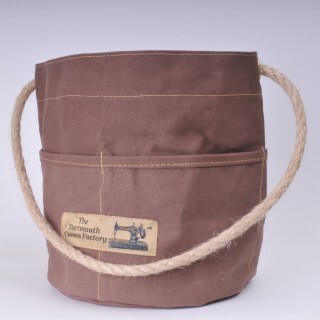 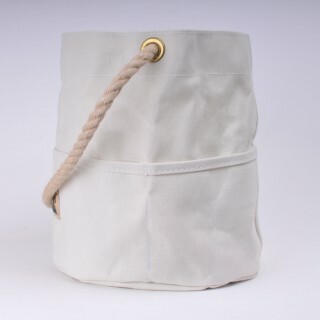 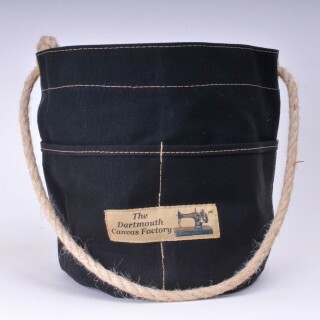 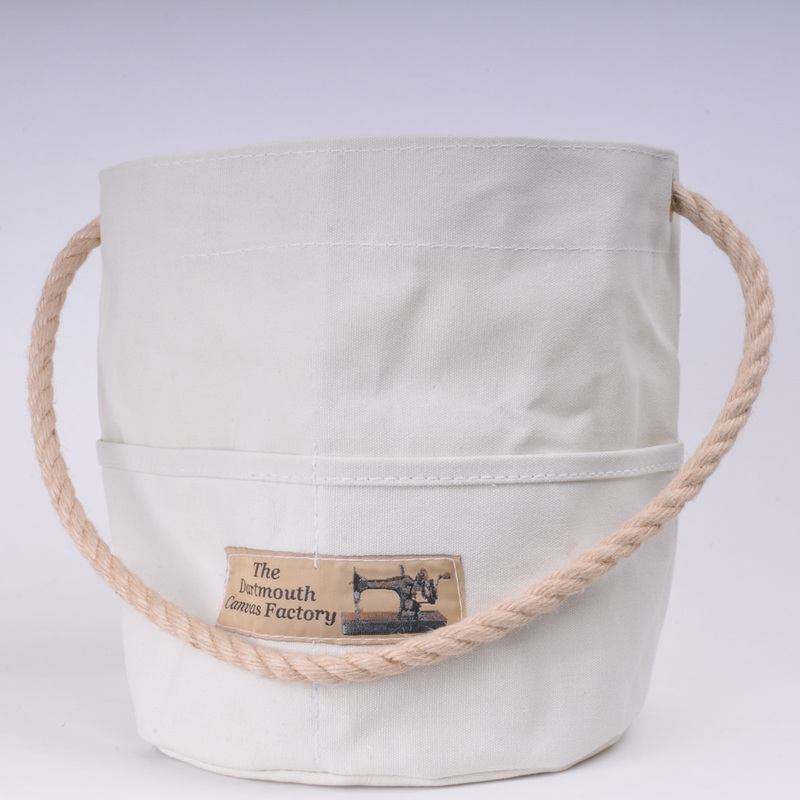 This canvas bucket has four pockets around the outside making it very useful for tools when gardening, in the workshop or on the boat. 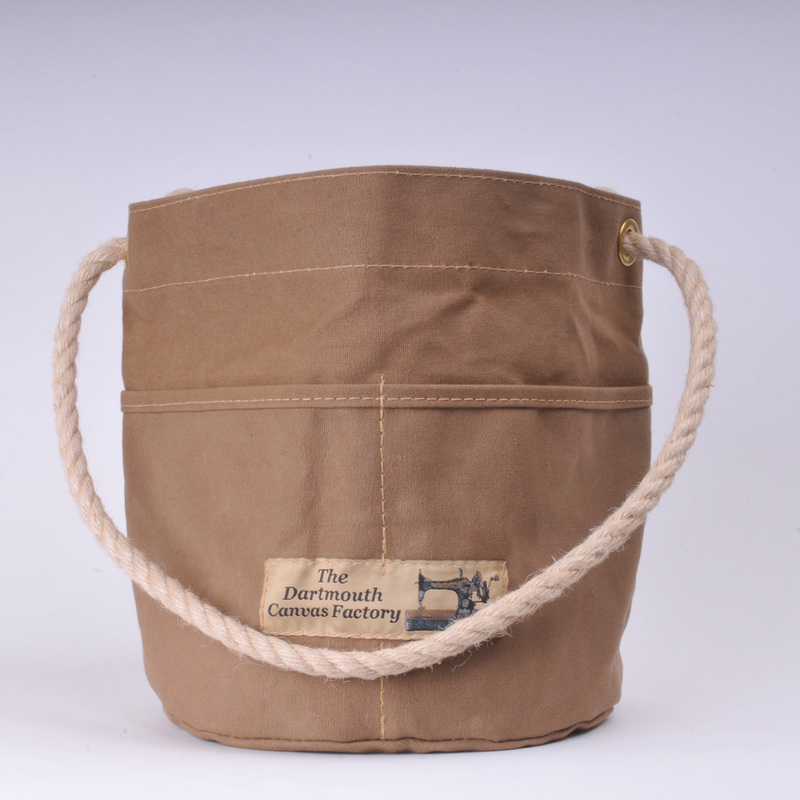 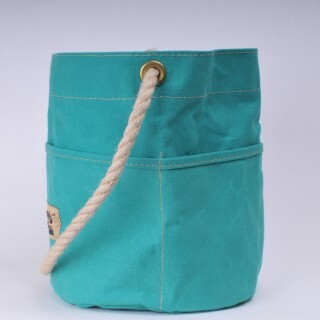 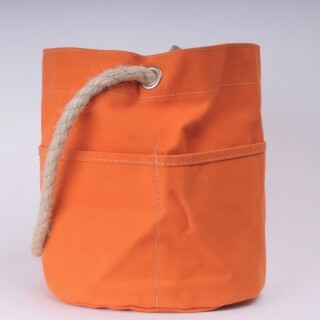 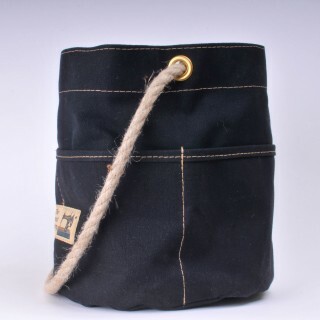 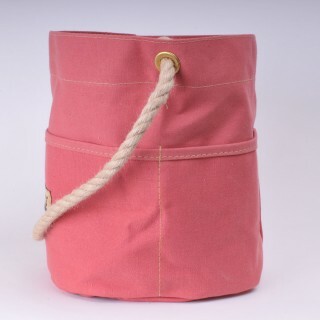 The fabric is strong, heavy duty, 14oz rot and waterproofed canvas with a natural hemp rope handle through solid brass eyelets. 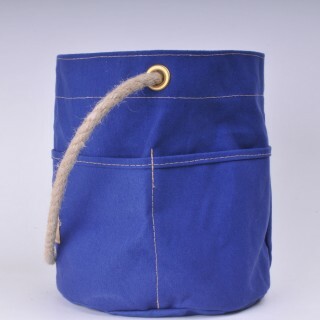 22 cms in diameter and 25 cms in height, it has a capacity of 9.5 litres. The four pockets are 15 cms in height and 18 cms wide. The bag can be hand washed or machine washed on a gentle 30 degree cycle, allow to dry naturally and reshape while damp.